In solidarity or perhaps empathy, we thought it worth mentioning Taylor Mali's book What Teachers Make: In Praise Of the Greatest Job In the World, published in April 2012. The title for the book was taken from his well-known poem "What Teachers Make," originally published in 1998. This passionate poem in defense of teachers was written in response to an arrogant lawyer who insulted Mali and the entire teaching profession at a dinner party. Equally as popular is the poet reading it in front of a live audience. We've posted the video below. In his book, Mali continues the conversation in support of teachers. He celebrates the teaching profession, and his words are a poignant reminder of why we do what we do. Of particular note are his chapters on "The Value of What You Cannot Test," "The Importance of Mentoring," and "There Can Never Be a 'Lost' Generation." Since Mali was an educator himself, he offers valuable insights into ideas from his own lessons over his years of teaching. This book should be in every school library, but perhaps more importantly in every teacher's book collection, too. Kirkus Reviews described it as "big, bright life lessons in a pocket-sized package" that "delivers a powerfully positive message, but it's also a valentine to teachers everywhere." The book, What Teachers Make, values the profession and recognizes the care and dedication of teachers in what Mali describes as a "hobbled American education system." Likewise, it is also a reality check for parents who view "their child's teachers as little more than educational stepping stones." If we had to add to this, What Teachers Make should be put on the mandatory reading list for legislators and government officials who make educational policy decisions and base teacher evaluations on standardized test results. Each time we watch Mali read his poem, we get inspired and feel a sense of pride. We've posted it here. For additional techniques on teaching poetry, click here for lesson plans by Taylor Mali. Big Data Analytics - Choosing the Right Chart for Your Data from Datameer on Vimeo. We've enjoyed incorporating charts and graphs into our weekly lessons. The best thing about data displays is that they evoke numerical stories within any discipline, whether science, math, economics, history, or humanities. Understanding a graph is an essential skill. Creating an original chart, however, is a higher-level exercise. It is the difference between decoding a political cartoon and creating an original drawing. It's the difference between reading an essay and writing an essay. The clear, detailed video from Datameer (above) lays out six essential types of charts and gives numerous examples of their potential applications. Even though Datameer is a data management company, the engaging video is ideal for teachers and learners. The clip offers a step-by-step primer about the range of visual options for all sets of numbers and statistics. 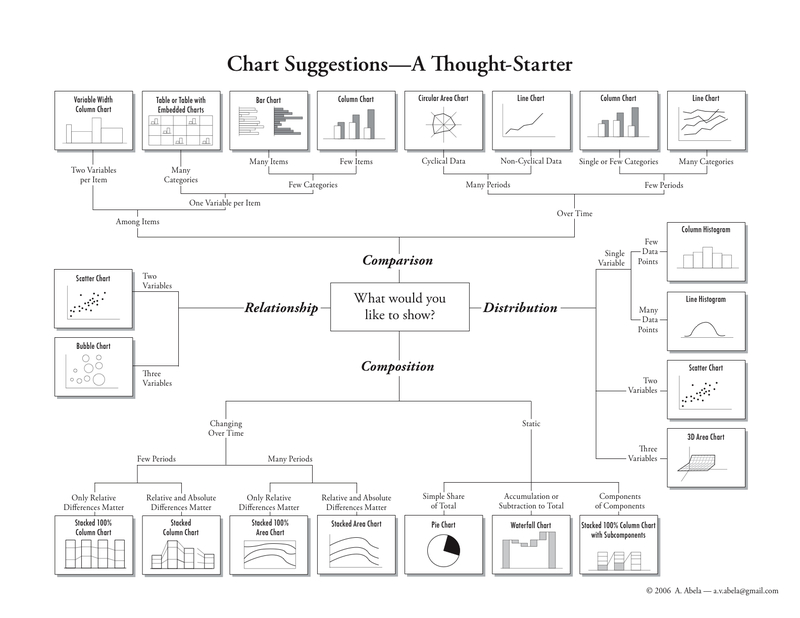 A useful site to use in the classroom is the Chart Chooser from Juice Analytics. 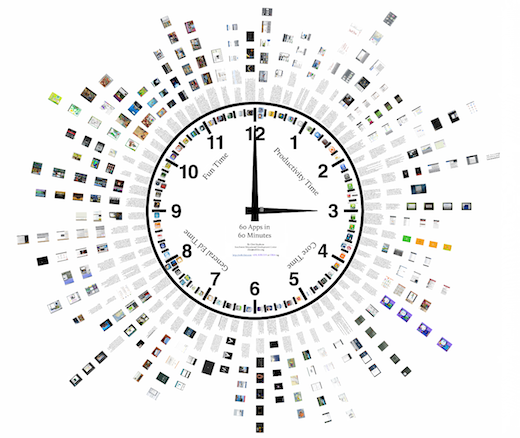 The roster of resources gives targeted tools for all sorts of data goals. 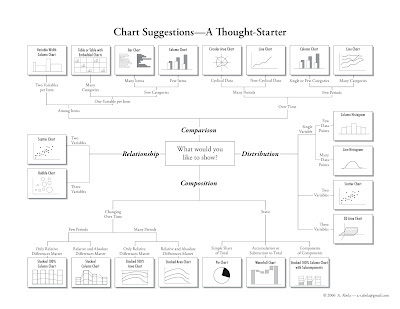 It pairs well with the Chart Chooser diagram from Extreme Presentation. The handy graphic provides an instructional flowchart to select the best chart or graph for a range of desired outcomes. 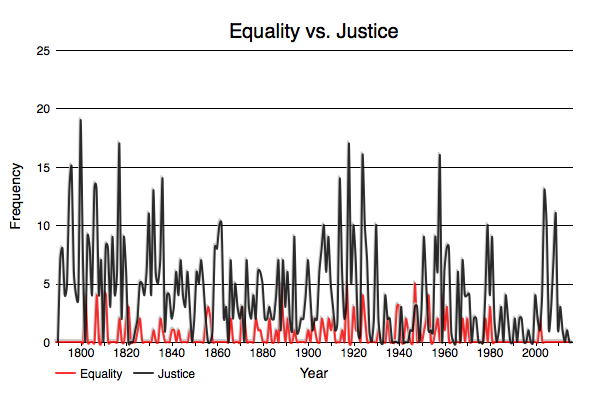 Accurate graphs can enhance classroom conversations about current trends or data sciences. Poorly constructed charts, however, can distort meanings and impart imprecise interpretations. 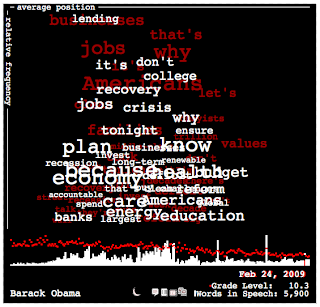 The reliability of graphs, in fact, became a debate point in the 2012 presidential election. 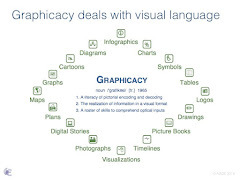 It makes sense that the skills of graphicacy emerged in the 1960s from the study of geography. Maps by definition require a close inspection of visual cues. As Rob Edsall, Associate Professor at Carthage College, notes, maps are rarely recognized for the long series of choices made by their creator. In these choices, maps can reinforce conventional cultural attitudes or even create new power relationships. New York City artist and urban planner Neil Freeman explores the impact of these cartographic politics in his masterfully reimagined map of the United States Electoral College. 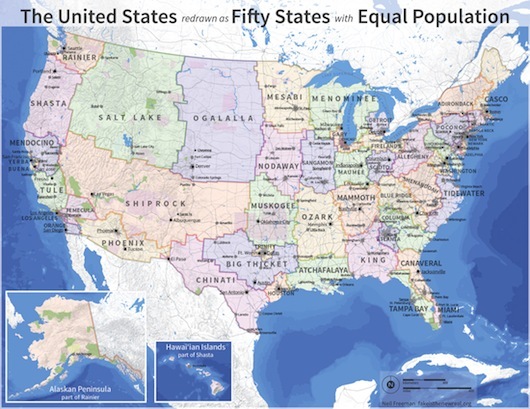 In order to address the electoral imbalance between California and North Dakota, Freeman redraws the country into 50 new states with nearly identical populations of 6,175,000. This recasting of America's internal boundaries maintains the Constitutional precedent of the Electoral College but also ensures that popular votes will forever match electoral sums. It also ends the over-representation of some geographic centers. While Freeman's intent is artistic, not political, his redesign would hold fascinating implications for regional identity. The names he bestows on the new states, from Big Thicket to Atchafalaya, also resurrect a lively linguistic record of mountains, rivers, and ecological regions. Freeman's whole site at Fake Is The New Real is fascinating in its artistry. This notion of names as power, of borders as identity, finds its echo in the rumored Renaissance maps that inked the “Here Be Dragons” insignia to denote "unexplored territory." Professor Edsall highlights the disparity between areas of future exploration and other areas of intentional neglect. Many overlooked spaces are deliberately left unmapped, because they for some reason do not merit enough meaning or effort. In the aftermath of the Haiti earthquake, for example, many poor neighborhoods that did not exist on official maps were delayed in receiving aid. Emily Badger tackles a similar problem in the digital age with her detailed piece in The Atlantic Cities, called "How The Internet Reinforces Inequality In The Real World." Our colleague Gina Sipley (@GSipley) tipped us off to this important article about online cartographic hegemony. Badger points to Wikipedia entries, geotagged tweets, and FourSquare check-ins as the new "power brokers" of locative importance. 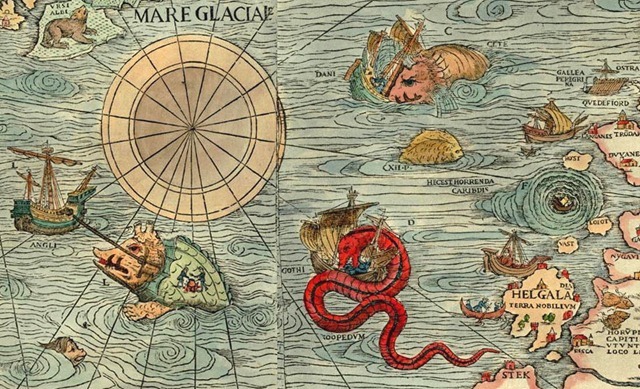 "Maps have always had a way of bluntly illustrating power," she writes. "Simply appearing on one can be enough to make a place or community matter. Meanwhile, absence from 'the map' conveys something quite the opposite." 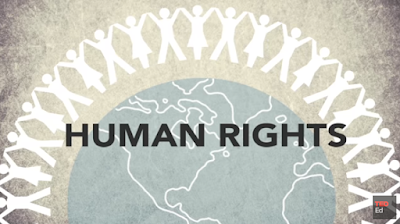 One way to level the terrain is to put the map-making power in the hands of global citizens. Google Map Maker seeks to do just this, by enhancing its open-source maps through the knowledge of locals. Much has been publicized about North Korea's recent addition to the catalog of Google Maps. In the same manner, leaders in the Nigerian capital of Abuja recognized the legitimacy that accurate maps bestow from the international community. They recently organized a crowdsourcing initiative to chart the details of their city using Google Map Maker, in the hopes of "authenticating" their neighborhoods to lure visitors and investors. Other tools to standardize the representation of geographic data include Maki Icons. This project from MapBox offers "pixel-perfect icons for web cartography." Fully scale-able, these icons suggest a shared language for giving voice to all spaces in the physical and digital world. 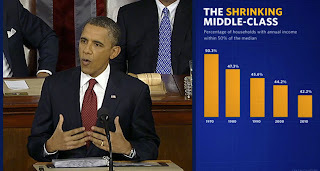 On Tuesday, February 12, 2013, President Barack Obama will deliver the State Of The Union address to Congress. In the modern era, the speech typically includes an optimistic outlook on opportunities for the coming year, as well as a laundry list of proposed legislation and a salute to featured guests in the visitors' balcony. This year, President Obama is expected to make a push for new gun and climate change regulations. The White House has also set up a social media soiree, where subscribers can share ideas via interconnected platforms. 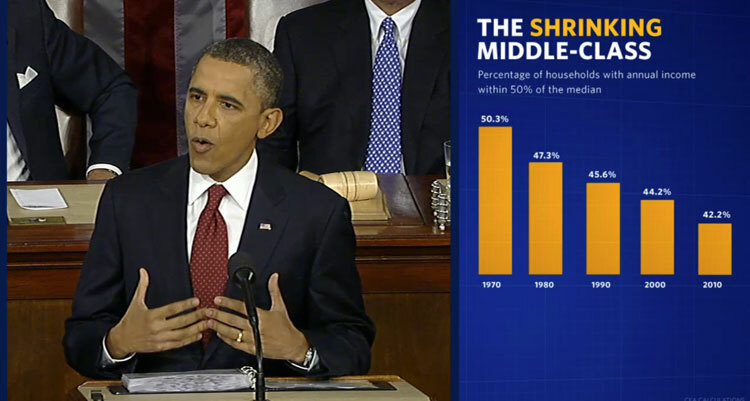 Even the casual observer can follow the Twitter hashtag #SOTU for relevant information. Another terrific way to explore the language and history of past addresses is through the "State Of The Union" visual interface by Brad Borevitz. 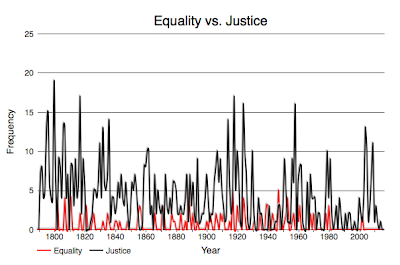 This data-rich site compares the frequency of word usage in all addresses from 1790 - 2012. Visitors can click on words to see statistics about their usage and can manipulate a scrolling timeline to see patterns evolve over time. 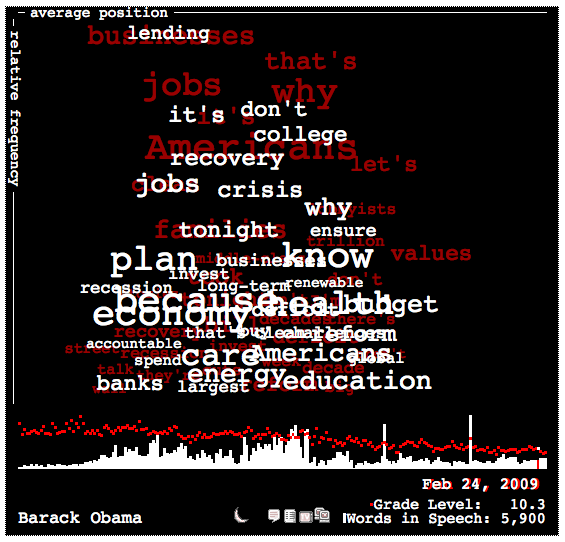 A related feature, the SOTU graph, can also generate line charts to display graphically the comparison in themes. You can sign up early online to receive a notification when Tuesday's speech is added to the database. For more information about visualizations in past State Of The Union addresses, check out "Infographics For America: Displaying Data In The State Of The Union" from The Why Axis, and "2011 State Of The Union Visualizations: Charts, Graphs And Infographics" from Fast Fedora. Even though iPads offer a lot of flexibility in learning, finding the right app can sometimes be a frustrating barrier to using them in the classroom. 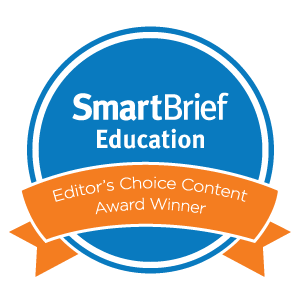 Often, as this article from Edudemic explains, schools focus only on "content" or "subject-specific" apps, without realizing that open-ended tools such as Visualize or Educreations can be incorporated into any curriculum. One of the most helpful and illuminating resources for identifying appropriate educational apps is this mind-blowing Prezi from Regional Technology Integration Specialist Clint Stephens of the Southwest Educational Development Center. Entitled "60 Educational Apps In 60 Minutes," this visually stunning layout offers a full tour of relevant iOS tools for teachers. 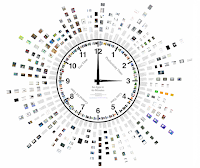 Organized into four categories of "Fun Time," "Productivity Time," "Core Time," and "General Ed Time," each recommendation includes an image, a description, and actual screen caps from the interface. Even if you have no interest in tablets or 1:1 devices, this Prezi is worth a look as an epitome of both information design and painstaking preparation. Another targeted site with suggestions of iPad apps is "Teach With Your iPad." This wiki offers a thorough list of possible tools, organized clearly by subject and grade level in an easy-to-read table. It also includes a few recommended "starter" apps at the bottom. "15 iPad Skills Every Teacher And Student Should Have" also presents a roster of recommended resources. 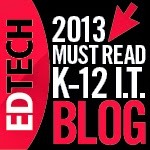 For each of the 15 categories, the article offers the best apps to use with students in the classroom. The Super Bowl is the media event of the year. The avalanche of interviews and marketing, therefore, makes this football game the year's most important media literacy opportunity. Marquee corporations roll out big bucks to parade alluring ads on TV. High-profile teams brand their players to create celebrities out of athletes. The logos of NFL franchises are splayed across innumerable billboards, banners, and bulletins. Television viewers, and especially children, need to be schooled in the sophistication of this marketing barrage. They need to understand the wit and complexity of the multi-sensory campaign. In 2013, more than ever, the key persuasive platform for communication and persuasion will be social media. During last year's contest, viewers sent 13.4 million tweets in commenting on the game. Of those, 1.2 million focused solely on the commercials. At the peak, 12,233 tweets per second crisscrossed hyperspace. This season's social media interplay is expected to dwarf last year's figures. If the record number of tweets during the London Summer Olympics and November's presidential election were any indications, this Super Bowl may notch a modern gold standard in social media expression. If 111,300,000 global television viewers watched the game in 2012, this year's tally will surely be augmented by the estimated 40% of people who use a smartphone or handheld tablet device while watching television. A social TV analysis of last year's Super Bowl XLVI by bluefin labs offered eye-catching, geographic visuals of how Twitter informed the viewing experience. An updated version of the video is already being prepped for 2013's February showdown. You can pre-order your XLVII edition online. 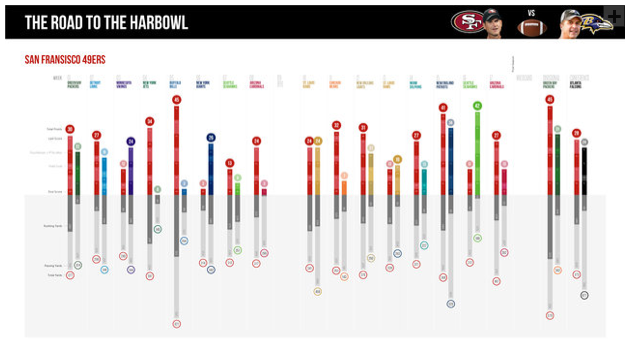 The San Francisco 49ers and the Baltimore Ravens have been feted as championship-contending teams in many visual forms. 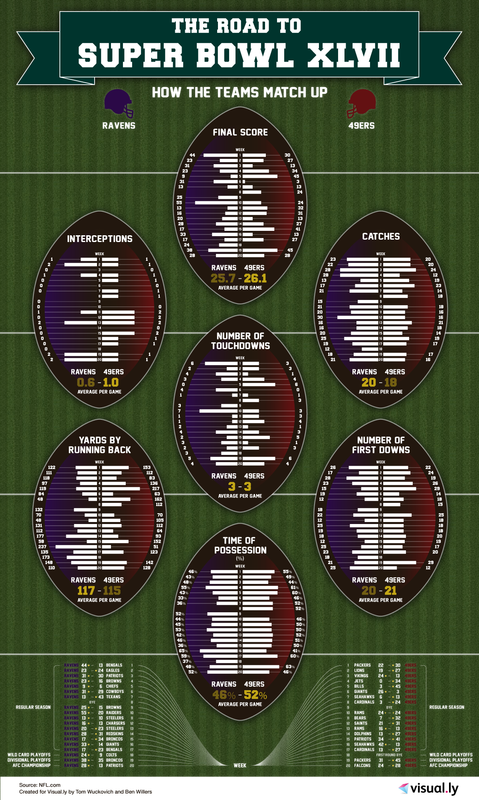 A data-rich infographic from Elefint Designs, featured on FastCoDesign, offers a trustworthy, week-to-week summary of the two teams' yardage, points, and wins. This analytical study, entitled "The Road To The Harbowl," hints at the dips and momentums that figure prominently in the Vegas betting prognostications. Another infographic from Sysomos presents "The Social Media Guide To Super Bowl XLVII." This detailed presentation lays out the degree of fan support, as well as the winners of social media opinion. 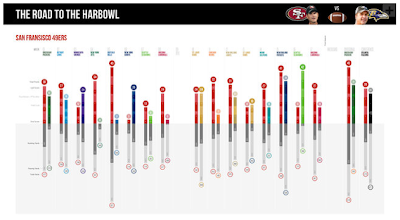 A separate visual, entitled "The Road To Super Bowl XLVII," examines how the teams match up competitively. For teaching students about the impact of communication and messaging, one of the best resources comes from Frank W. Baker in his feature on "Using Super Bowl Ads In The Classroom." A guru of media literacy education, Baker offers excellent lesson plans, news articles, and streaming video clips to encourage healthy skepticism when viewing TV ads. He presents key questions to consider in analyzing the impact of Super Bowl commercials. We've admired Baker's work before in teaching young learners about the broad realm of media marketing.